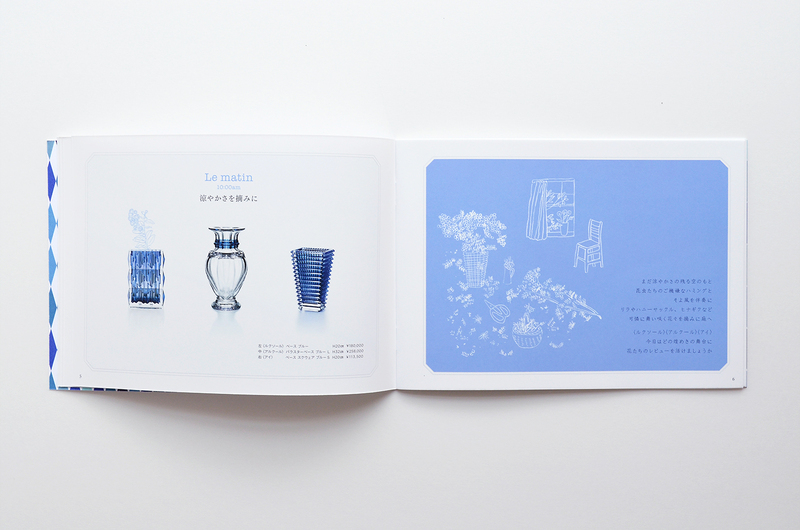 I designed a summer catalogue for high crystal glass brand Baccarat. 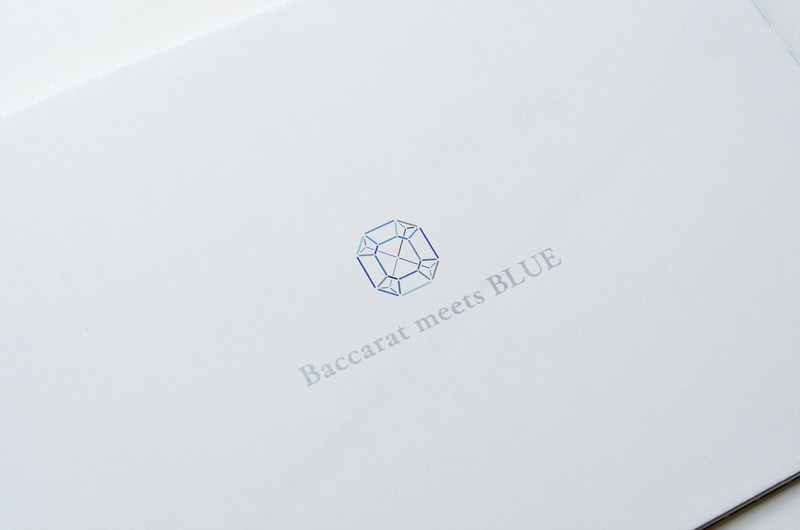 As you know, Baccarat’s corporate color is red, but, in the brand’s summer campaign this year, the company has been pushing blue completely. 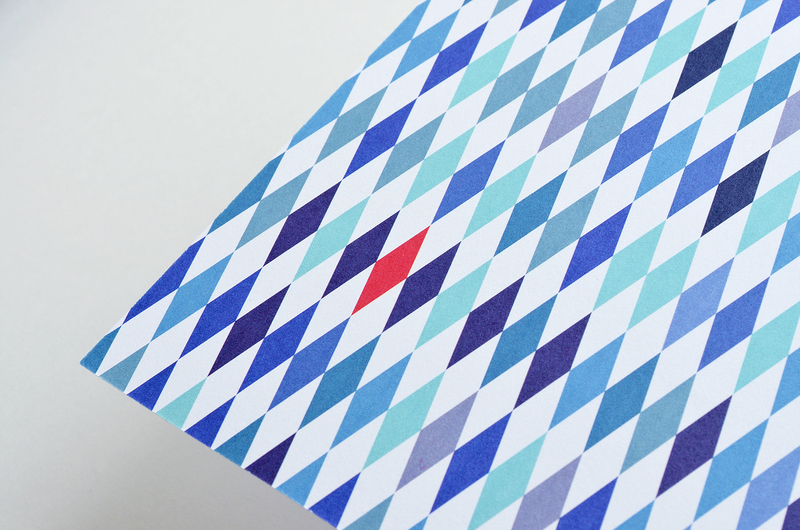 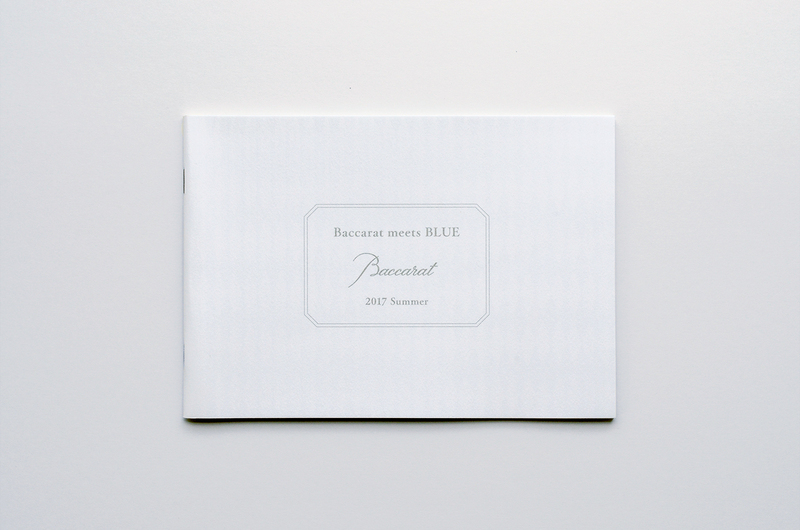 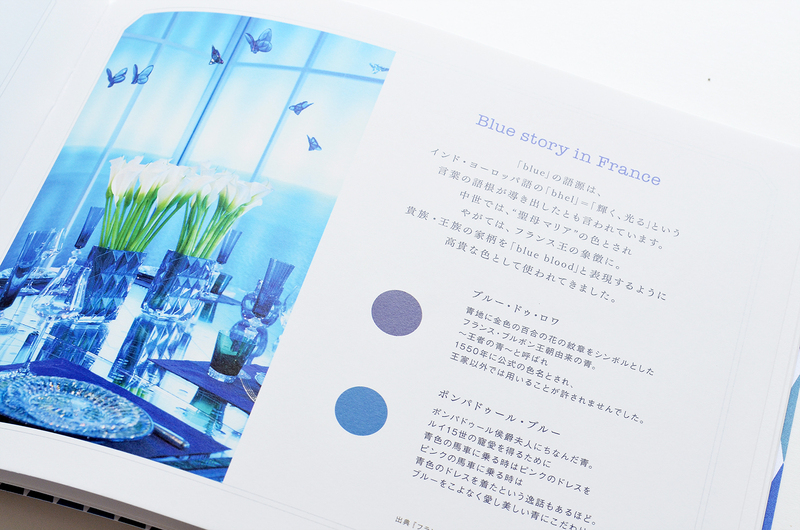 Our creative team chose several types of blue from traditional French color for the catalogue design, and we used them to resemble changing of the one-day sky color. 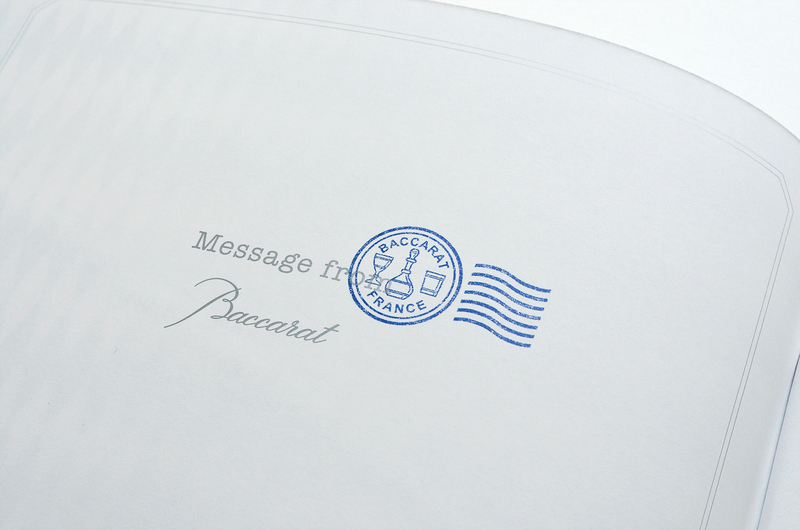 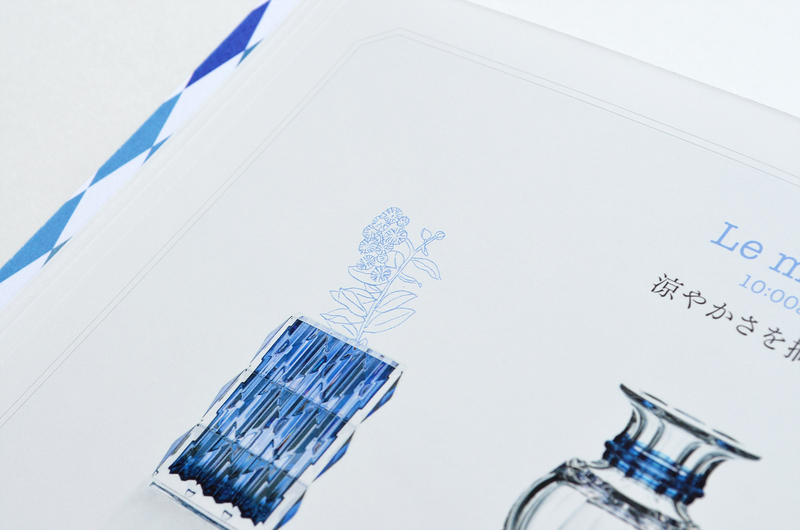 We expressed one-day story with Baccarat’s products. 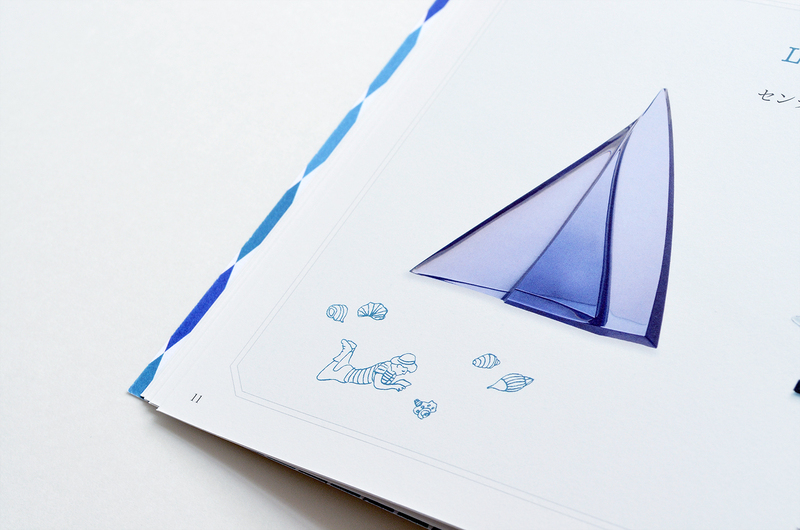 The story is started from morning and ended at midnight. 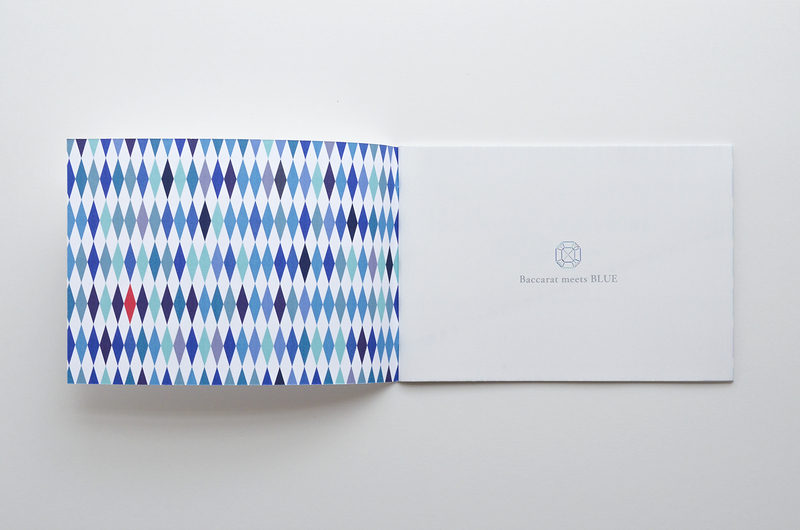 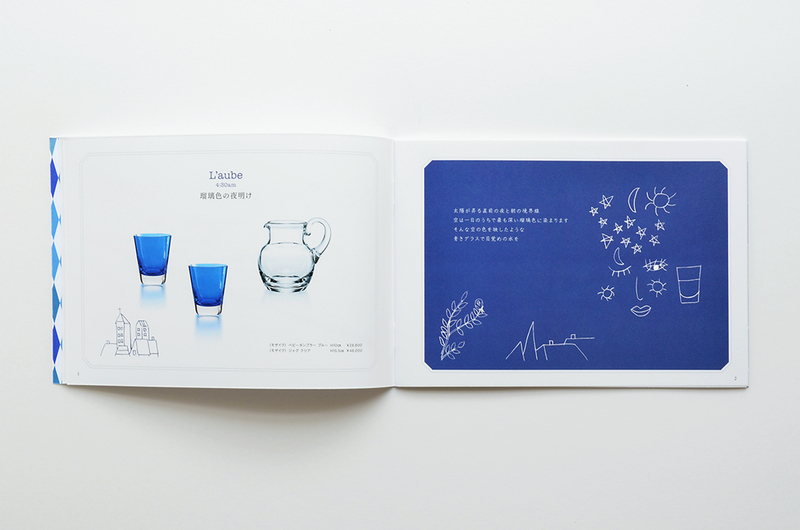 Probably, many people think that they can’t buy Baccarat’s item because of its high price, but we hope that such people get our designed book because we depicted beautiful contact points between Baccarat and the people in the brochure. 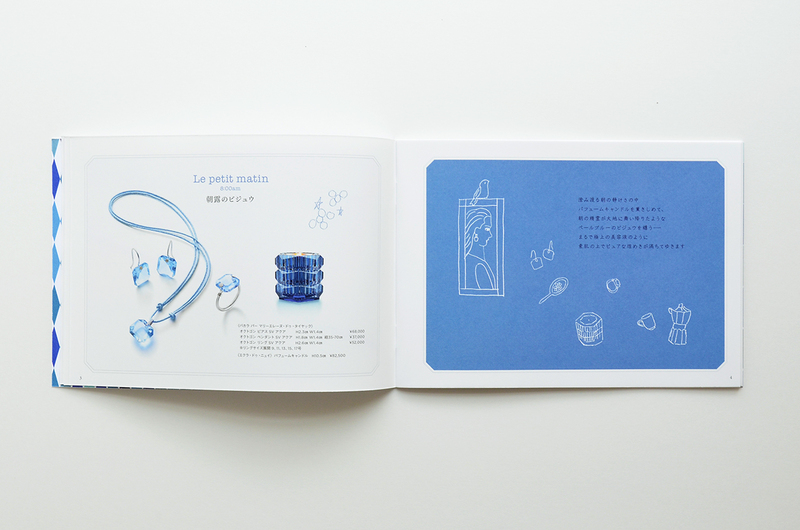 If the scenes in the booklet moves you, you would come to want to present the brand’s wares to your special time or your important people. 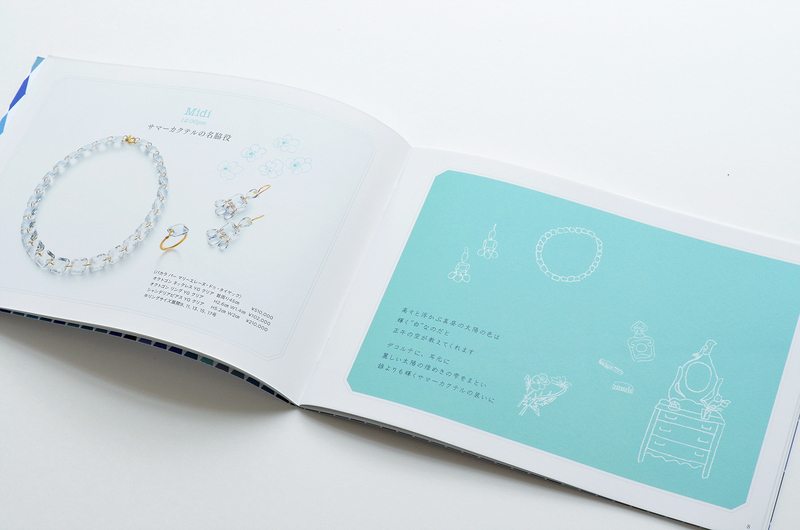 I hope that the catalogue reaches many people.